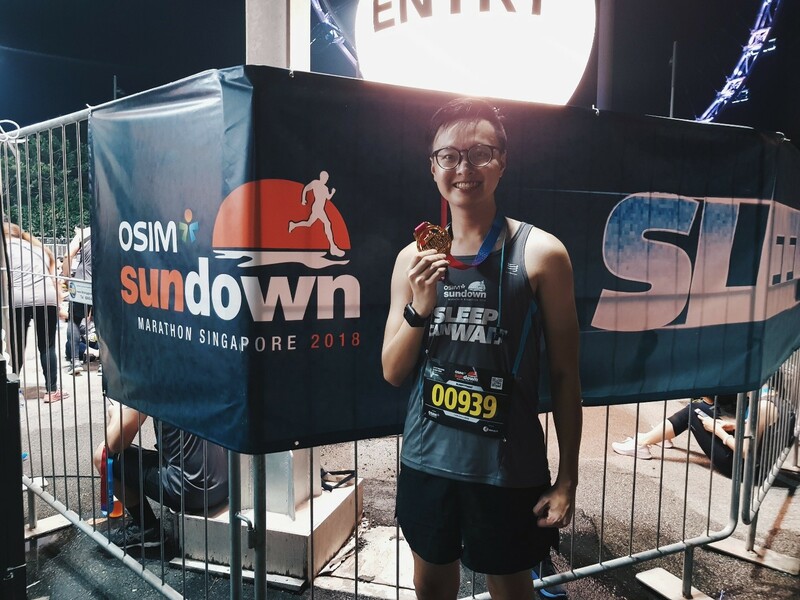 A Night Racing Adventure: OSIM Sundown Marathon 2018 [10km] | JustRunLah! This catchphrase caught my attention immediately and to any other race enthusiast, it is definitely not unheard-of. 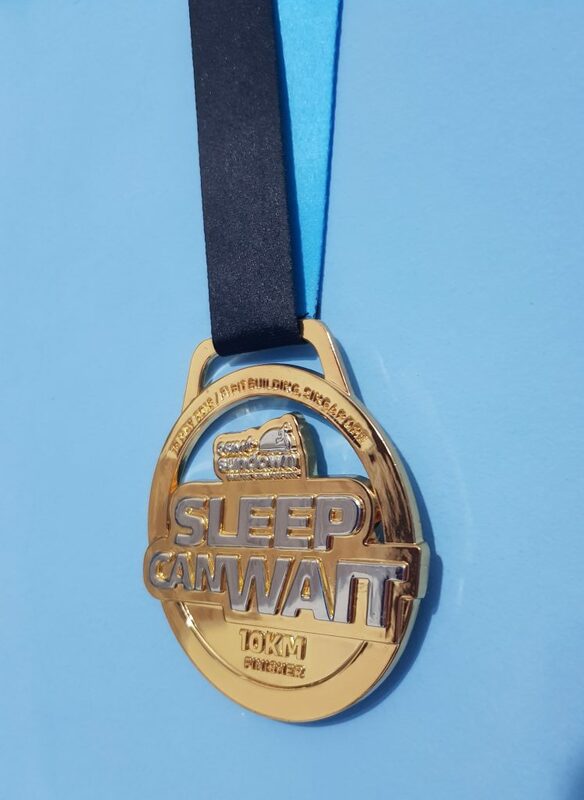 Indeed, as I registered for the 10 km category, I knew it was going to be one of those night races that required sacrificing some sleep. Being an undergraduate, I knew all too well how important sleep can be. 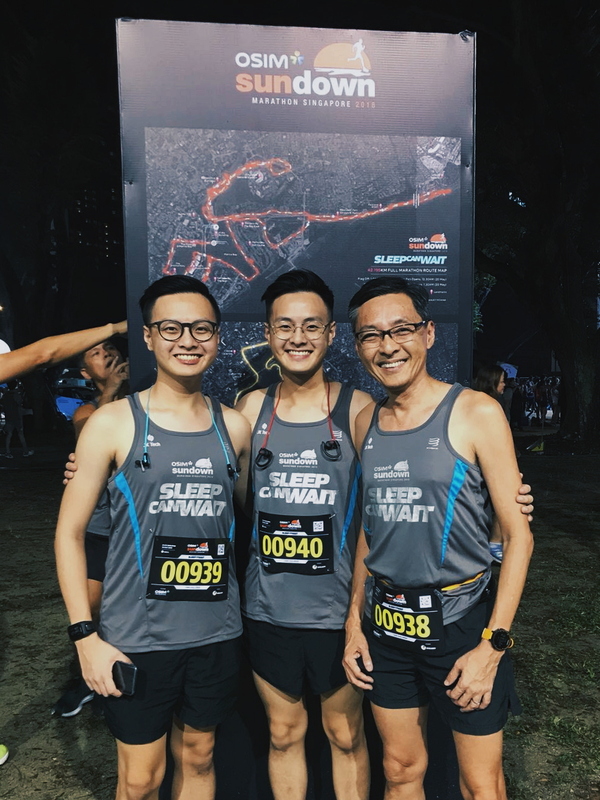 Nonetheless, I was thrilled at the idea of a large group of people forgoing sleep for their passion – running. I just had to be part of this experience! 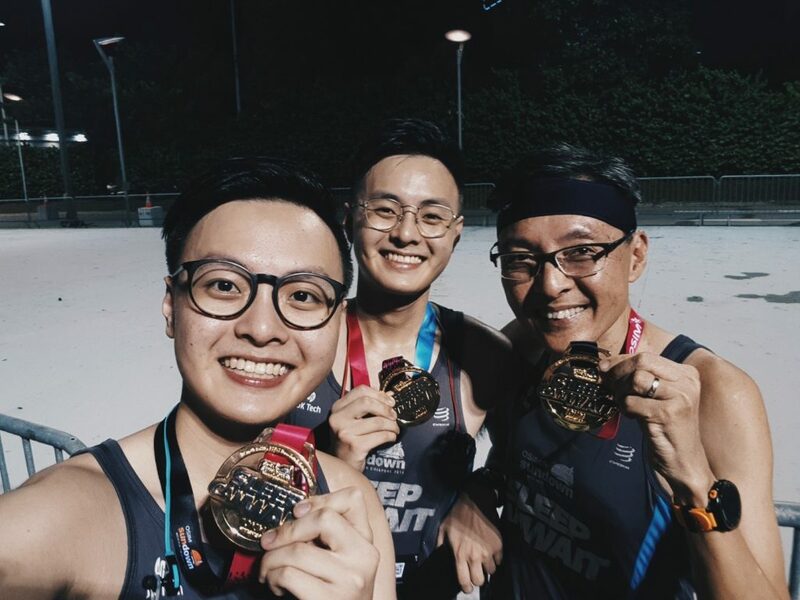 So I gathered my closest running companions, which were none other than my Dad, (a.k.a SY) and twin brother, Justin, to register for the 10km race category. It was 19 May – race day. Knowing that it was going to be a long night ahead, I had a late dinner consisting of a larger portion of carbs. As the race timing drew closer, I ensured all my running gear were in good condition and charged my wireless headphones and TomTom GPS watch. With everything in check, the three of us set off for the race at around 8:30 pm. This year’s iteration of OSIM Sundown Marathon was held at the F1 Pit Building, same as previous years. When we arrived at around 9:30 pm, we were greeted with a bustling race carnival. The crowd mostly comprised 5 km finishers (which I knew from their shiny finisher medals) and some other early 10 km runners just like us. Some were browsing the running gear for sale, others doing some serious stretching and others chatting with their fellow running associates. We snapped a group photo together and got some water at the hydration booth before queueing at the start pen. With loud music from a live DJ and cheers, the 10 km challenge race began on a high. We started the race with the second wave of runners due to the long queue. However, the starting path was wide and spacious, allowing us to overtake some walkers. Justin and I split up with my Dad to run at different paces. The night race was on, and as I paced along with the second wave, I felt strangely alive. There was something about having a group of strangers united through running, despite the late flag-off timing. The darkness of a night race also somewhat gave an atmosphere of fun and excitement. As the race proceeded, the path winded into several choke points, where I faced several problems of walkers holding up the way or fast runners trying to jostle their way through the narrow passages. I then took a mental note to be in the first wave flag-off to prevent all this inconvenience. There were several hydration points at intervals of 2-3 km along the race route, which I felt was just sufficient. Each hydration point had both options of POCARI Sweat Drinks and plain water. The race route extended a little over the 10 km distance mark at 10.9 km, according to my GPS watch. This could be revised to better allow runners to track a more accurate PB for themselves. 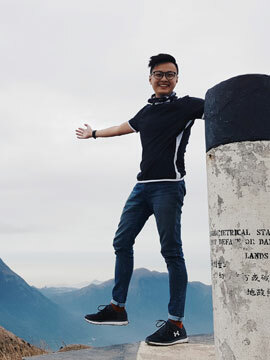 As for myself, I felt a little cheated when the route took an extra turn after the Helix Bridge before ending off at the finishing line. However, I was no competitive runner and didn’t mind getting in a little more cardio for myself. After finishing, there were numerous lanes to collect finisher medals and post-race running entitlements with none being congested. This came across as a rather pleasant surprise. We were each issued a finisher medal, a can of POCARI Sweat drink, a banana and a bottle of plain water. After leaving the finish line, I did some light cool-down stretches and met up with my Dad and Justin. We commemorated our 10 km finish with some photos with our medals. Soon after we took the photos, I replenished my energy by finishing my banana and drinks and did some extra stretching. We took a quick tour around the carnival area once more and left the area as it was getting late – almost 12:00 am! However, as we left, I noticed many fresh-looking runners entering, who were probably there for the 21.1 km race category. The traffic leaving the F1 Pit Building area was rather heavy but that was understandable considering the road closures. Brimming with the runners high of finishing my first race this year, I made a promise to myself to participate in more races that would provide me more unique experiences like this night race. And of course, all of these exciting adventures would be shared here as well. Till my next write-up, continue chasing after new experiences and have a great day ahead! Click here for more post from Austin.